This Builders Award Winning golf front home was designed by architect Jose Camino, was recently updated with over $70,000 of improvements. 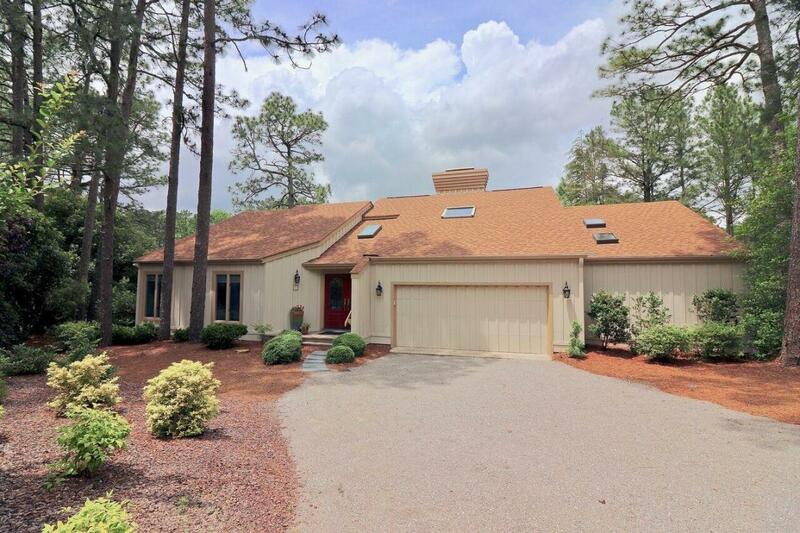 A 15 minute walk to the Pinehurst Village, this home is located on a private cul-de-sac on the 4th green of the recently remodeled Pinehurst no. 3. The master bedroom, family room, dining room and kitchen all have spectacular golf views. The inside and outside of the house was recently painted and all rear windows facing the golf course are new. The kitchen and several bathrooms have updates. The split bedroom design offers a spacious master bedroom with a private deck. The 2nd and 3rd bedrooms are also located on the ground floor, and each bedroom has access to a full bath. 4th bedroom or office upstairs.